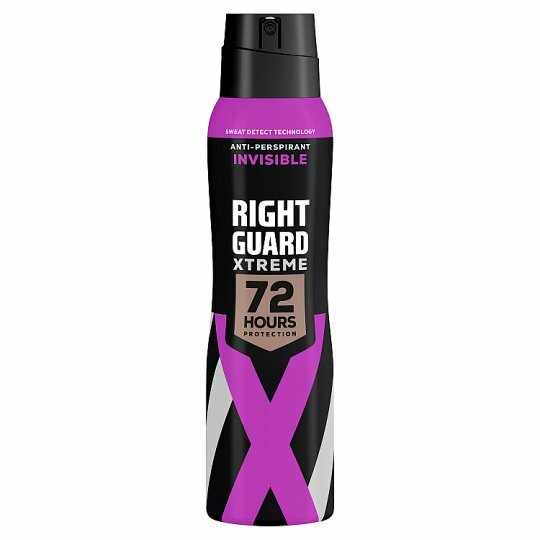 Right Guard Invisible for women - Extra protection against wetness. Long-term protection against white, yellow and oily stains on clothing. Protects Before You Sweat - The innovative formula with Sweat Detect Technology anticipates sweat before it starts. 72H Protection- Fights body odour at its source and ensures long-lasting freshness. Shake well before use. Use in short bursts. Hold upright not less than 15 cm from underarm and spray. Do not apply to irritated skin.